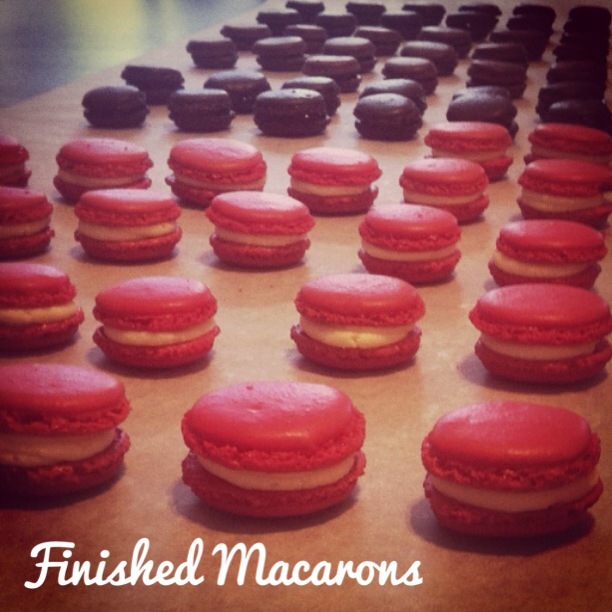 Well this has been a long and tiresome journey but I managed to finally perfect macarons ! I have tried many different techniques and recipes and had many different outcomes. I don't understand why there are so many considering they are all trying to achieve the same result, but anyways ! 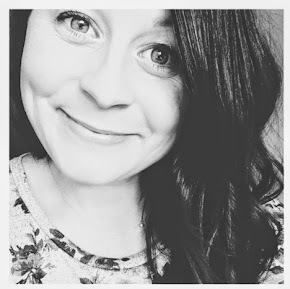 So, I thought I would share some of my findings ! Firstly, you have to be willing to put in the time to trial these out and not be disheartened if they don't work first time. They are very fiddly and many things can cause different problems to occur. I have over mixed the mixture, under mixed it, had cracked tops and ones that have sunk, you name it, it's happened to me. In the past I have always been quite successful, but they have never been quite right ! Not flat on the top and sometimes missing the 'feet'. 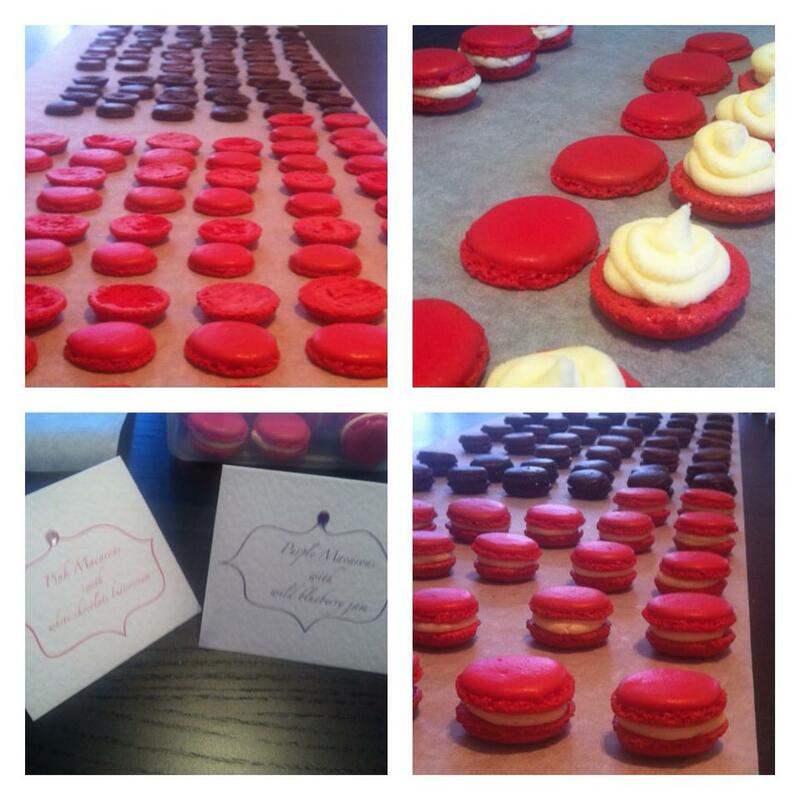 I was asked to make some for my sisters friends engagement party and was so honoured to be asked that I determined to get them right ! So, anyway on to how to make them. I have tried the Italian meringue method - where you boil the sugar and water but this way doesn't need any of that, it's much simpler. That's all you need ! Oh and colouring and flavouring if you are adding it. 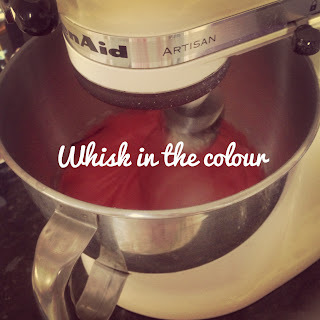 I had the gel food colouring by Wilton which worked well for me as I needed rich bright colours. 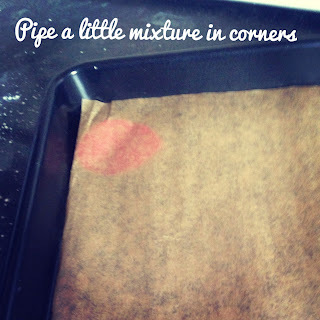 Arrange your baking paper on some baking trays. I drew around a large round piping nozzle to make circles on the underside of my baking paper, to help as a guide. (You can't see them in this picture sorry) Pipe a little mixture in the corners to help it stay in place. 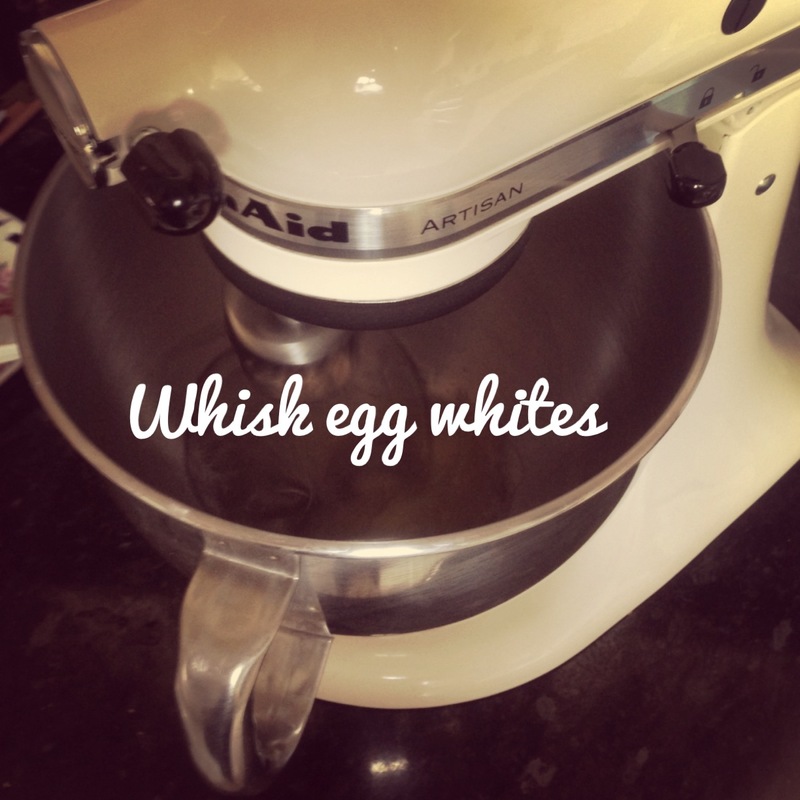 The first tip is to age your egg whites. 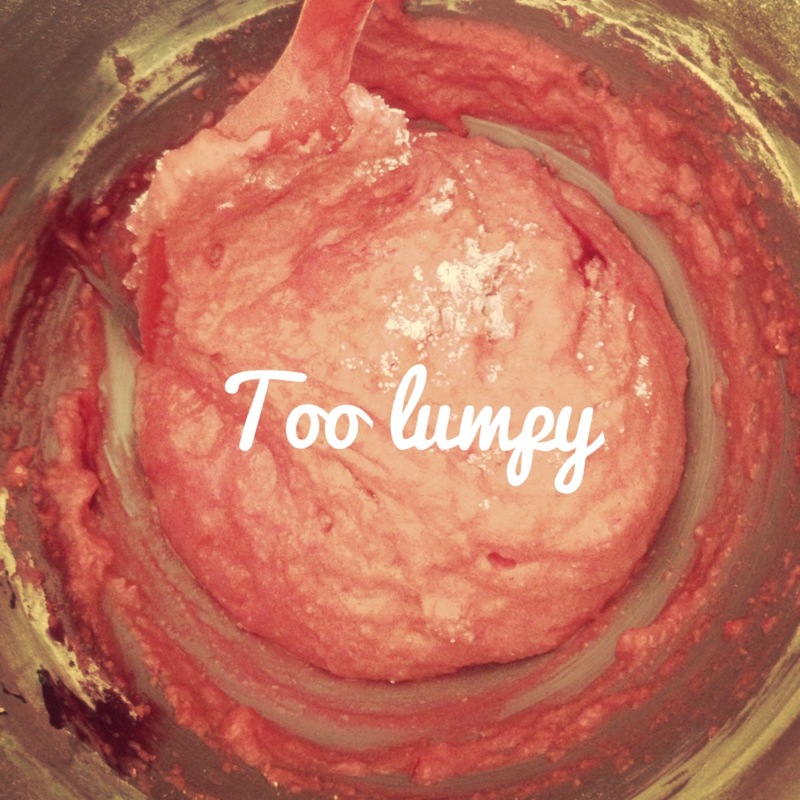 Separate them from the yolks and put them in an airtight container. For a few hours or overnight. They will go a bit bubbly. Whip up your egg whites until they froth and slowly add the caster sugar. 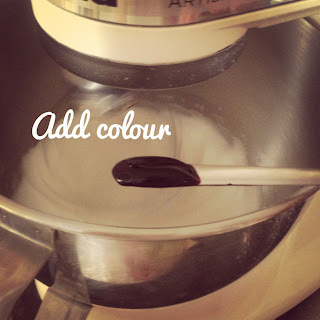 Once white and a bit glossy, add your food colouring. 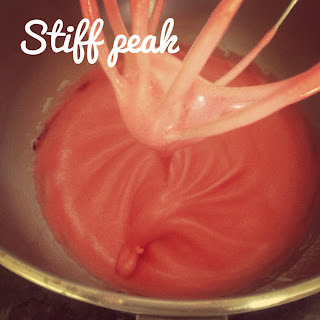 You can still use the whisk to mix in the colouring until you get a stiff peak. 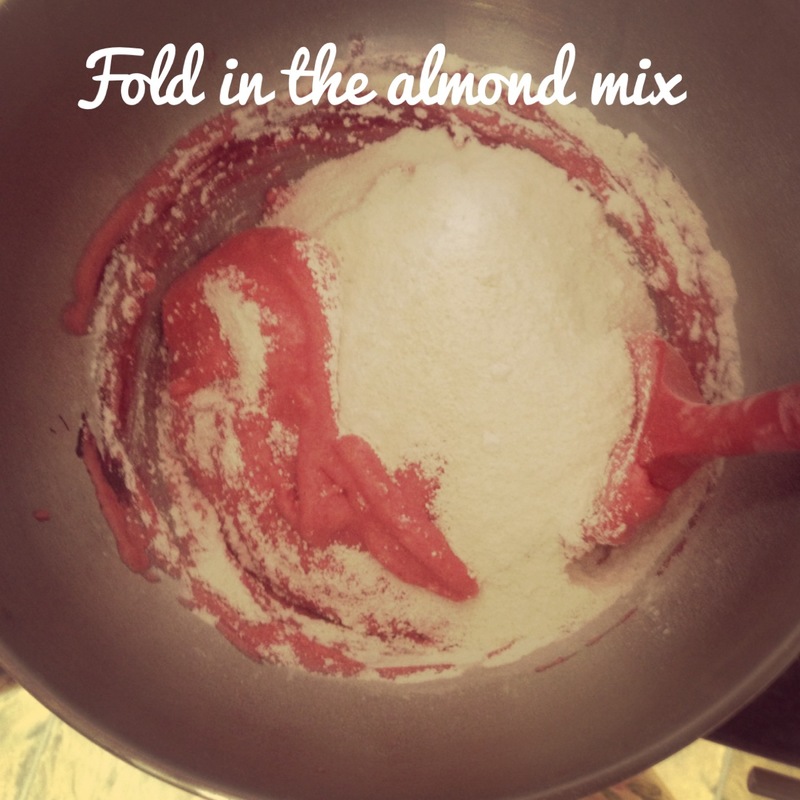 Sift the icing sugar and almonds together. 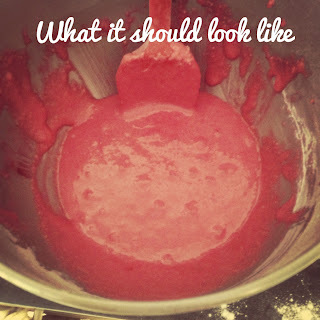 Then fold them in to the mixture carefully. This is the tricky bit ! I have under folded (they cracked) and over folded and they have been too runny ! I know, it's frustrating, what ARE you supposed to do then. I would suggest about 60 folds. ish. You need to keep going until its all incorporated, go slowly and when you lift your spoon it should drop off the spoon like 'molten lava'. I know, again - when have you seen molten lava ? So all I can say is it needs to look 'smooth' without any big lumps, gaps and big air pockets. 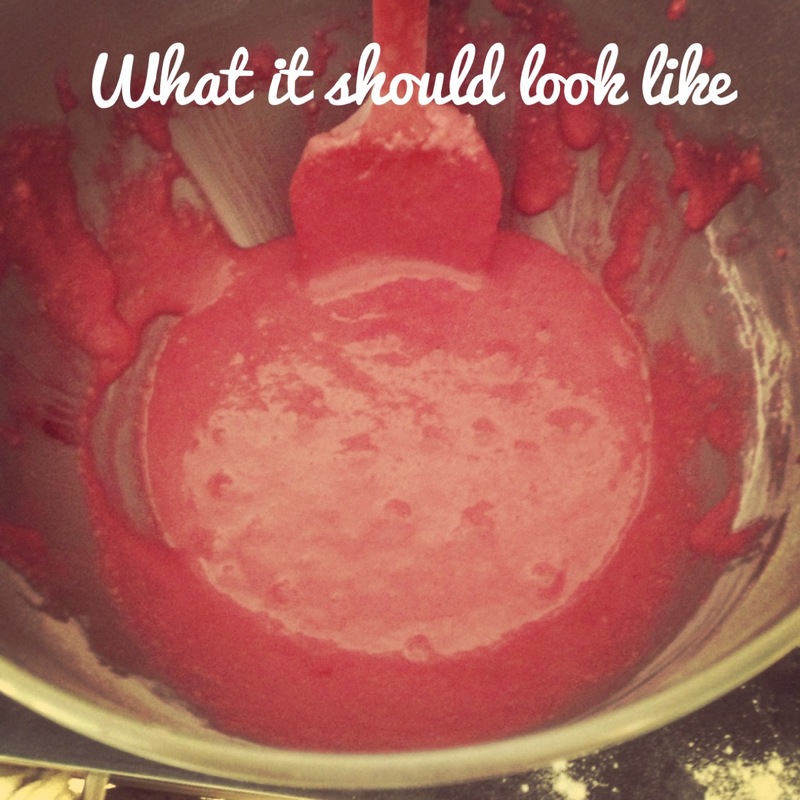 If you leave it for a couple of minutes it will settle in the bowl and look quite liquidy. If you spoon a little amount and let it drop, it should still have that meringue consistency and kind of 'set'. Once you have this right, arrange your piping bag and nozzle. 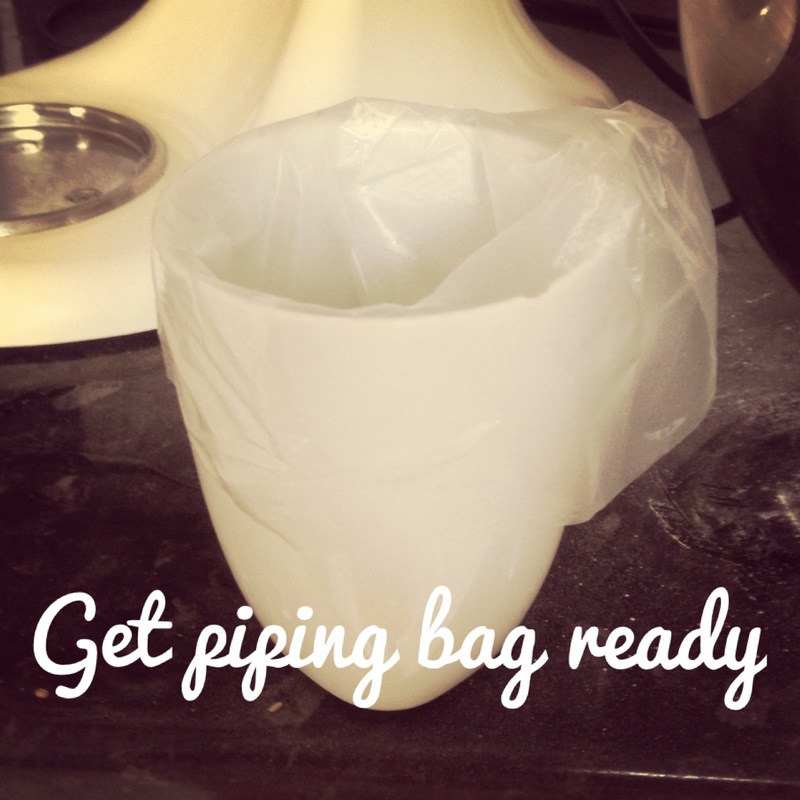 Scoop the mixture in and get ready to pipe. 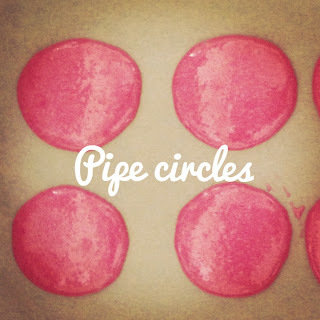 Hold the piping bag straight down and pipe the little circles, I kind of count in my head so I get them about the same size, adding the same amount of pressure all the time. Then do a little flick to end the piping and avoid a big peak. Any small peaks, should calm down and disappear. Once you have them all piped give the tray a good whack on the counter, straight down. Turn around and do the same. About 4 whacks each side. They should flatten at this point and look smooth. Then leave them. Now this is a tip from me, I have heard various things, leave them out for 20 minutes, 30 minutes but I found the optimum time to be one hour ! So leave them on the side to form a skin. When you touch them they should no longer be sticky and you'll be able to visibly see a shinyish skin. Now this is the other tricky thing. Time in the oven. All ovens are different so I am afraid you can't take my word for it here. What I did was followed a recipe that said 20 minutes and whatever you do, don't take them out before that, even if they look done. So I didn't and they burnt! So with my next batch I decided the cut the paper in to 2. I put one lot in at 14 mins. They were better, but still too crispy, I mean, not chewy enough. The next I took out at 12 min and they were perfect ! So be prepared for trial and error and taste them as you go ! Put them in one tray at a time ! Let them cool on a wire rack and then remove from the baking paper. Then finally fill with your choice of filling. I did a nice white chocolate buttercream for the pink ones and used a lovely wild blueberry jam in the purple ones. It just takes trial and error and determination - so don't give up !! If you have any questions at all I'd be happy to try and help ! This recipe came from Entertaining with Beth Thanks so much Beth !! Thank you ! I will try soon and let you know the result. Hi lovely recipe , can't wait to try out! Also please tell me when u leave egg whites to age , do we keep the air tight jar in refrigerator over night or at room temperature? thankyou for sharing some 'roon' wisdom...very helpful.